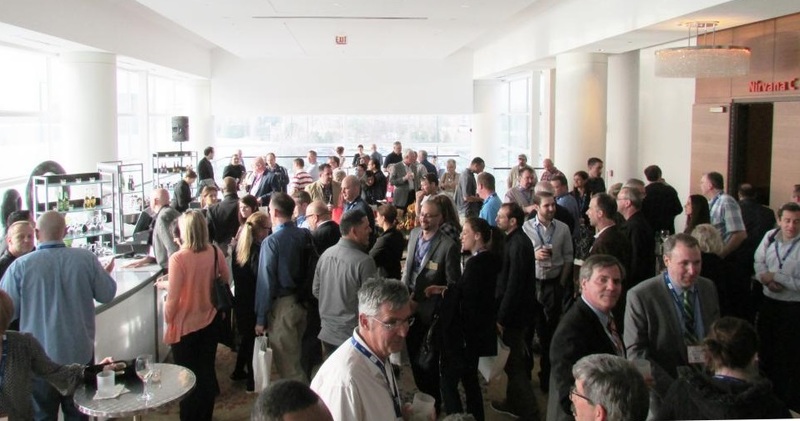 Networking reception following the plant tour at the Cabinets & Closets Conference at the Schaumburg Renaissance Hotel & Conference Center in 2015. 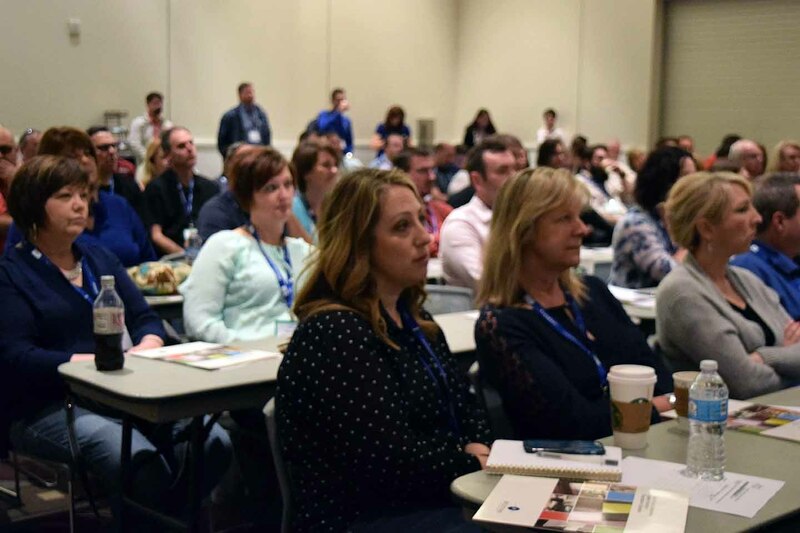 Custom cabinetry and finish carpentry firms can learn how to grow sales and profits in a day-long conference, 'Power Up Your Business,' on April 11 at the Cabinets & Closets Conference in Chicago. The Cabinets Conference includes a plant tour and free admission to Cabinets & Closets Expo, which follows on April 12-13. The events take place at the Renaissance Convention Center & Hotel in Schaumburg, Illinois, near Chicago. It was developed in partnership with the Cabinet Makers Association. Chris Stevens, a noted lecturer on business development and a professor at the business school of Notre Dame University, will keynote. His presentation is expected to set an inspiring and motivating tone for the cabinetmaker group. Hitting Record Sales, presented by Matt Krig, owner of Northland Woodworks, and head of the Cabinet Maker Association board. 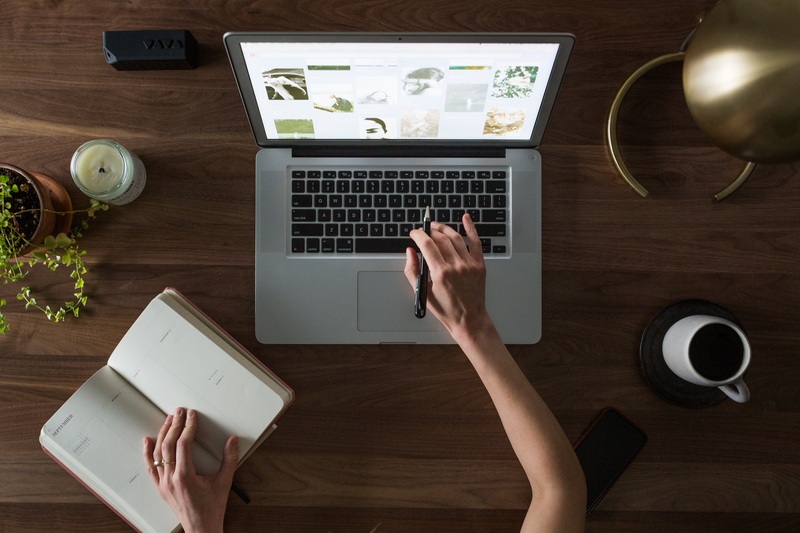 The FDMC Pricing Survey, presented by Will Sampson, editor in chief of FDMC magazine. Conference participants will then board buses to attend a plant tour of a nearby technology leading woodworking business. The tour is sponsored by Stiles Machinery.